Mumbai: How often do you search for fitness centres or gyms near you? There are around 23 million searches on Google every day for fitness centres. According to the study, Indian Habit of Being Healthy by Redseer, there are 90 million health-conscious individuals in the country. There is also a change in the way payment is made for fitness. “There are around 24,000 gyms and studios in the country, out of which 95% are organised outlets and 5% are unorganised,” said Neha Motwani, co-founder at Fitternity, a web aggregator for fitness outlets. Because of how the fitness packs are priced, you either end up overpaying or underutilising your membership. The 12-month packs are cheaper than the shorter tenures: the three-month and six-month packs. This is prevalent across all gyms or fitness centres in India. Take the example of a Gold’s Gym branch in Lower Parel, Mumbai: their quick result program 25-week pack is priced at ₹40,320 and 52-week pack at ₹43,661. 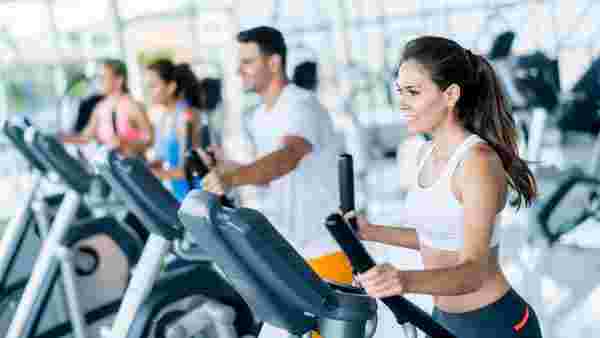 “This is because the fitness centres also require upfront payment for their expenses, like rent or salaries. Looking at the cheaper incentive of a longer duration, one ends up taking the more expensive package but essentially ends up overpaying,” she said. There is a major need to allow people to spend on the basis of their consumption, she said. For instance, Mumbai-based Luv Deshpande, 31, who is an advertising professional, travels a lot for work in a month’s span. “Sometimes I am not in the city for at least 15 days a month and all my workout days and fees get wasted as I attend hardly 12-13 sessions a month,” said Deshpande. He had earlier paid for an annual membership of around ₹16,000. “Currently I am paying ₹266 per session in which I get cashbacks of ₹150 per session,” he said. Effectively, Deshpande effectively ends up spending less than ₹116 for a session if he decides to use the cashback amount for his pay-peruse facility. Sometimes the payment is nil when a good amount of cashback accumulates. “This way I end up spending ₹14,000 a year and save around₹2,000 on an annual basis,” said Deshpande. Purswani had paid around ₹2,561 for a month’s duration of weekend classes, but after learning about the pay-per-use facility, she could also access weekday classes with the same money. “The validity for the initial amount I paid is now extended to five months from one month. I am accessing different classes with the same amount and as per my utilisation,” said Purswani. Another option is to opt for session packs. For example, you can choose to pay for a total of 150 sessions and exhaust them over a valid period of three years. Bengaluru-based Kiran Raj, 27, finance officer at HSBC Bank paid ₹1,000 for 20 classes which could be exhausted over a period of two months. “I did not take the annual membership and chose these session packs as I have to travel a lot for work. I did not want to waste or underutilise my money so I chose to pay only for the set of classes that I attend over a period of time,” said Raj. You also have an option to pay through equated monthly instalment (EMI). However, it is not advisable to take a loan for fitness expenses or any kind of expenses. “Around 30% of the long term memberships taken on Fitternity are on EMI,” she added. Say your annual membership fees is ₹14,060. If you take an EMI for a span of 12 months, your with-interest EMI will be₹1,274 per month and total amount will be ₹15,288. You will end up paying ₹1,228 extra on an annual basis. Some platforms also provide zero-cost EMI service. Growfitter, Mumbai-based fitness discover platform launched in May 2016, offers zero-cost EMI for member gyms or fitness centres and it has partnered with Bajaj Finance Ltd, a nonbanking financial company for the same. “Around 400 plus fitness centres which have partnered with us have zerocost EMI option on board,” said Sanmati Pande,33, chief executive officer and co-founder at Growfitter. “There is no interest applied on it. So for example, if your six-month membership costs you ₹6,000, you will be paying ₹2,000 a month for three months,” said Pande.